Eurobios is a business intelligence company, with a wide range of products and portfolios. 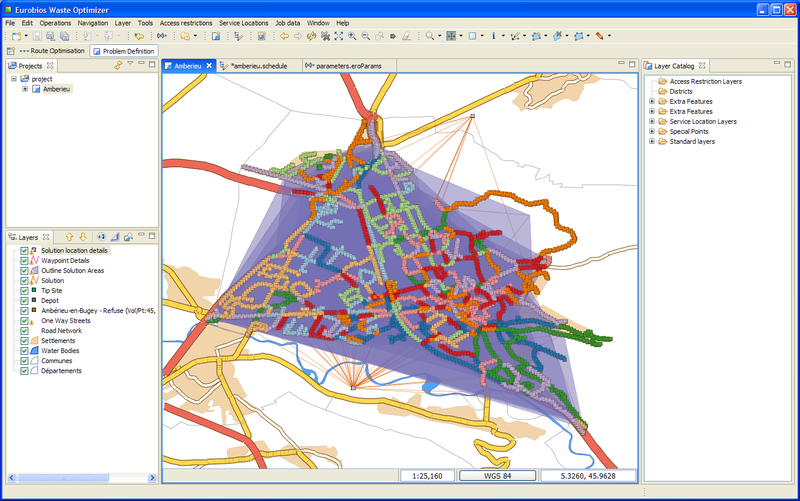 Using uDig as a framework, Eurobios has built a routing and logistics package for municipal trash collection programs, the creates optimized routing and schedules for servicing collection areas. The Eurobios Waste appication allows you to define a general area for waste collection, using standard geographical data. The application calculates new, highly efficient and realistic collection rounds to service your area, having specified the available transfer stations/landfills for each tip trip and the resources you have available, in terms of vehicles, crews and their working hours. 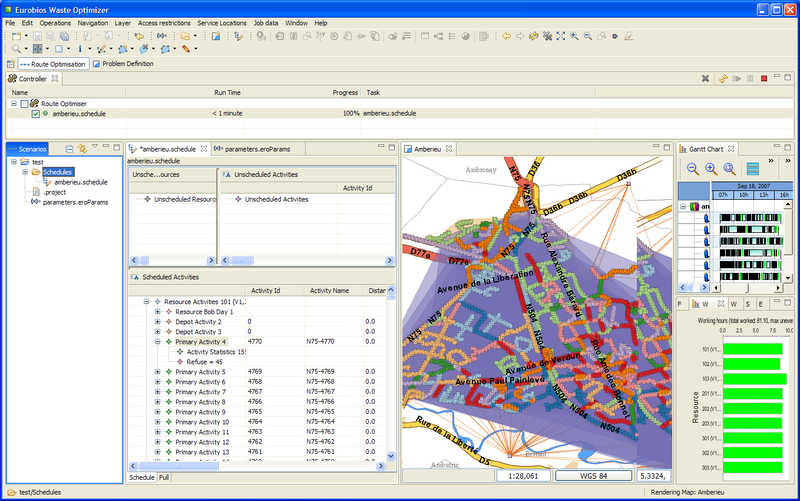 The application can performance an analysis on how to reduce the number of rounds, or it can optimize existing rounds whilst maximising the productivity of each vehicle. Eurobios Waste is currently used by seven areas in France and the UK, each serving 50,000 to 100,000 households. Eurobios, a worldwide leader in managing complexity sciences, is a software vendor providing powerful products and solutions at strategic, tactical and operational levels. The Geotools library had a networking extension already built.